A beautifully crafted black cast iron fireplace with a Highlighted effect. 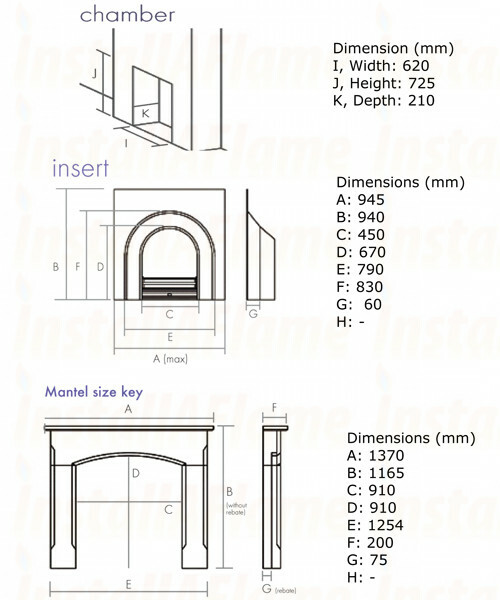 FIRE MANTEL: BARTELLO 56″ - An Agean limestone fire surround. 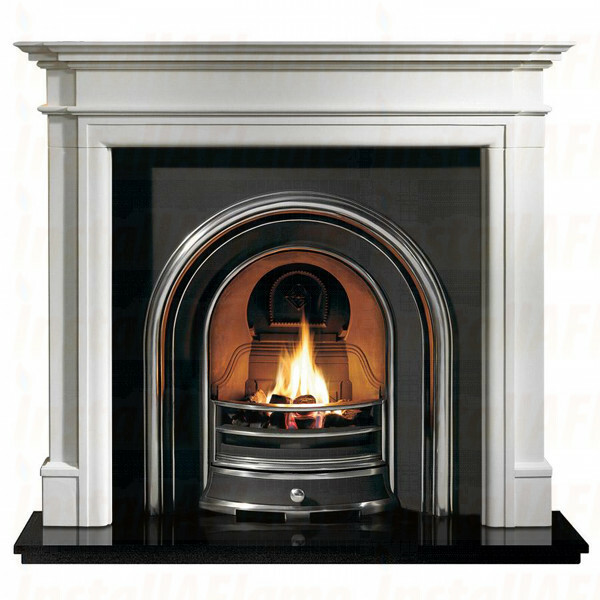 FIRE ARCH INSERT: THE JUBILEE - A beautifully crafted black cast iron fireplace with a Highlighted effect. GAS FIRE: NG02 Coal Effect living flame gas fire. HEARTH: 54″ GRANITE - A black granite hearth at 54″ wide finishes off this fireplace perfectly.